BLAZE BITE BACK, BEAT RATTLERS 3 - 1. IN THE FINAL GAME BEFORE THE TEAM'S SPRING BREAK, THE BLAZE PLAYERS PULLED ALL FACETS OF THEIR GAME TOGETHER AND BEAT A VERY STRONG AND UNDEFEATED WESTON RATTLERS TEAM 3 - 1. THE BLAZE WAS LED BY PITCHER ZACH KLEIMAN (7IP, 1 ER, 8K, 4H, 2BB) WHO THREW AN OUTSTANDING GAME. HE ALSO ADDED A SACRIFICE WHICH SCORED WHAT WOULD BE THE GAME WINNING RUN. IN THE 6TH INNING, THE RATTLERS ONCE AGAIN SHOWED THEIR TENACITY BY GETTING THEIR FIRST TWO HITTERS ON BASE. BLAZE CATCHER JASON WILPON THEN PICKED OFF THE RUNNER AT 2ND WITH A PERFECT THROW ON A FAILED BUNT AND RUN. THIS PLAY EXTINGUISHED THE RALLY AS KLEIMAN THEN STRUCK OUT THE NEXT TWO RATTLERS HITTERS. GEORGE GUGINO AND ROBERT COLLIN CONTRIBUTED LONG DOUBLES....AS EACH WOULD LATER SCORE. BLAZE TRIO COMBINE TO NO HIT THE WESTON HAWKS. THE BLAZE DEFEATED THE WESTON HAWKS 3-0 AT WESTON REGIONAL PARK. ON THIS NIGHT, 3 SELDOM USED PITCHERS HAD A CHANCE TO DISPLAY THEIR ABILITIES. ADAM MUND (3IP, 2K), JASON WILPON, (3IP, 4K) AND GEORGE GUGINO (1IP, 2K) LED THE WAY FOR THE BLAZE USING A GOOD COMBINATION OF PITCHES TO KEEP THE HAWK'S HITTERS OFF BALANCE ALL NIGHT. AT THE PLATE, GUGINO PROVIDED ALL THE OFFENSE THAT THE TEAM NEEDED WHEN HE SLUGGED A FASTBALL HIGH INTO THE WESTON NIGHT AND OUT INTO THE PARKING LOT. RICHARD CHERNOFF ADDED 2 HITS AND RICH ENGLAR AND JASON WILPON DROVE IN THE BLAZE'S FINAL 2 RUNS. 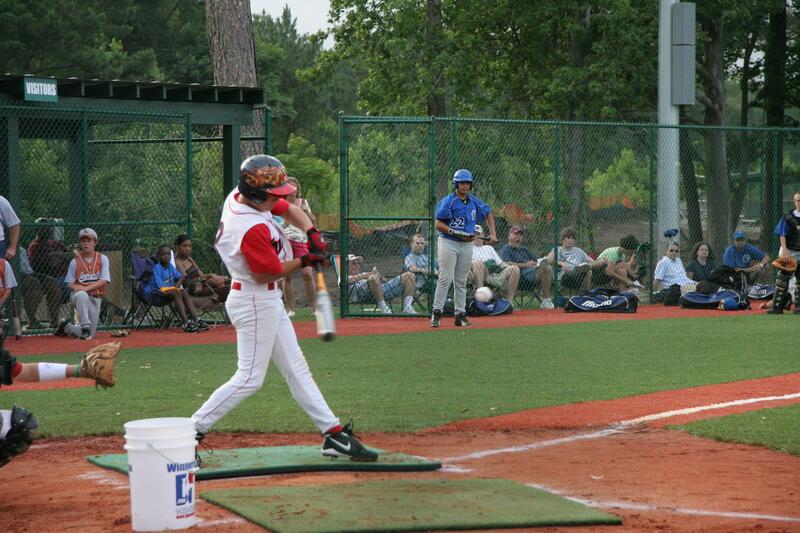 BLAZE CATCHER ZACH FRIELAND HAD A STRONG GAME BEHIND THE PLATE AS HE DID A GREAT JOB WITH THREE DIFFERENT PITCHERS. BLAZE FALL TO PPO BENGALS 7-4. IN AN IMPORTANT INTER-DIVISIONAL MATCH-UP, THE PPO BENGALS TOPPED THE BLAZE 7-4. THE BLAZE FELL BEHIND EARLY IN THIS CONTEST AND WERE UNABLE TO CATCH UP. BLAZE STARTER RICHARD CHERNOFF GAVE UP 3 RUNS IN 3 INNINGS OF WORK. RICH ENGLAR AND ADAM MUND EACH HAD TWO HITS. SKYLAR FOX, JASON WILPON, ROBERT COLLIN, HARRY FRANETIC EACH ADDED A HIT. BLAZE DEFEAT WESTON HAWKS 10 - 0. THE BROWARD BLAZE DEFEATED THE WESTON HAWKS 10 - 0. ZACH KLEIMAN THREW THREE SCORELESS INNINGS WHERE HE GAVE UP ONLY ONE HIT TO EARN THE WIN. HE STRUCK OUT 6 HAWKS HITTERS. CHRIS NEWELL, PLAYING IN HIS FIRST GAME AGAINST HIS FORMER CLUB, WAS STRONG IN TWO INNINGS OF RELIEF WHERE HE FACED THE MINIMUM OF 6 BATTERS, STRIKING OUT THE LAST ONE WITH A GREAT CURVE BALL. OFFENSIVELY, THE BLAZE CAME OUT STRONG, PUTTING UP 8 RUNS IN THE FIRST TWO INNINGS. KLEIMAN, GEORGE GUGINO AND HARRISON FRANETIC EACH HAD TWO HITS. 7 BLAZE PLAYERS EACH ADDED A HIT INCLUDING DOM MARENGO, JARED HEIDT AND RICH ENGLAR. BLAZE AVENGE EARLIER LOSS WITH 7 - 3 WIN OVER BROWARD PANTHERS. AFTER GIVING UP THREE EARLY RUNS, THE BLAZE REGROUPED TO DEFEAT THE BROWARD PANTHERS 7 - 3. ROBERT "RC" COLLIN PITCHED 6 STRONG INNINGS WHERE HE SURRENDERED ONLY 5 HITS ENROUTE TO THE COMPLETE GAME VICTORY. THE BLAZE DEFENSE WAS STRONG AS THEY STOPPED A LATE ATTEMPT BY THE PANTHERS TO SCORE WHEN THEY CAUGHT A PLAYER IN A RUN DOWN BETWEEN 3RD BASE AND HOME. GEORGE GUGINO HAD THREE HITS, TO INCLUDE 2 DOUBLES, AND THREE RBI'S TO LEAD THE OFFENSE. COLLIN, CHRIS NEWELL AND JASON WILPON EACH ADDED 2 HITS. ADAM MUND ADDED A SINGLE UP THE MIDDLE IN THE 4TH INNING DRIVING IN WHAT PROVED TO BE THE GAME WINNING RUN. FLANAGAN FALCONS TOURNAMENT TO BEGIN ON TUESDAY NIGHT! THE BROWARD BLAZE BEGIN PLAY IN THE FLANAGAN FALCONS ELITE HOLIDAY BASH TOURNAMENT ON TUESDAY NIGHT AS THEY PLAY THE WEST PINES COBRAS AT 6:00PM AT PEMBROKE LAKES FIELD NUMBER 1. THE BLAZE PLAY AGAIN ON WEDNESDAY NIGHT AT 8:15PM AGAINST THE CORAL SPRING MUSTANGS. THE BLAZE, BEHIND A STRONG PITCHING PERFORMANCE FROM ZACH KLEIMAN (6IP, 8K, 5 HITS, 3ER) DEFEATED A VERY TOUGH PASADENA PANTHERS TEAM, 15 - 4, TO CLOSE OUT THE FPBL REGULAR SEASON. BLAZE SPILT DOUBLEHEADER WITH SOUTH FLORIDA BLAZE. 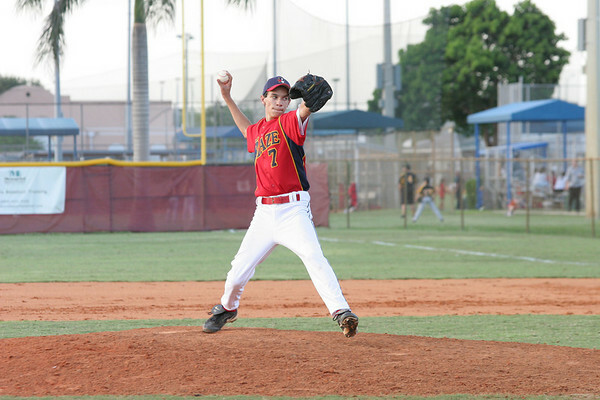 THE BLAZE SPLIT A PAIR WITH THE SOUTH FLORIDA BLAZE ON THE LAST WEEKEND OF THE FPBL REGULAR SEASON. IN THE 1ST GAME 8 - 1 VICTORY, THE BLAZE WERE LED BY PITCHER RICHARD CHERNOFF, WHO THREW A COMPLETE GAME. DESPITE GOOD PITCHING PERFORMANCES FROM NICK MOORMAN AND ADAM MUND, THE BLAZE COULD NOT MUSTER THE OFFENSE TO OVERCOME A LATE SURGE FROM THE SOUTH FLORIDA BLAZE, GOING DOWN TO A 5 - 3 DEFEAT. IN A GAME WHERE BLAZE PITCHER ZACH KLEIMAN (7IP, 7 HITS, 3 ER) STRUCK OUT 8 HITTERS, THE BLAZE COULD NOT MUSTER THE OFFENSE AND FELL TO THE SOUTH FLORIDA RAZORBACKS 4 - 2. AFTER GETTING OFF TO A ROCKY 1ST INNING WHERE THE BLAZE YIELDED 2 RUNS, THE TEAM STIFLED THE POWERFUL RAZORBACKS WITH STRONG PITCHING AND GOOD DEFENSE. THE BLAZE FINALLY TIED THE SCORE IN THE 6TH INNING. THE RAZORBACKS WENT ON TO WIN WHEN THEY SCORED 2 ADDITIONAL RUNS IN THE 7TH INNING. IN GAME ONE OF A DOUBLEHEADER WITH THE CORAL SPRINGS MUSTANGS, THE BLAZE SCORED 7 RUNS IN THE 1ST INNING AND RODE THE STRONG PITCHING OF RICHARD CHERNOFF ( 3.2 IP, 2K, 1BB, 1H) TO A 10 - 0 VICTORY. RELIEVER NICK MOORMAN SECURED THE SHUTOUT WITH A STRONG EFFORT. COLIN MARTINDALE PROVIDED 2 HITS AND 2 RBI'S TO PROVIDED THE OFFENSIVE PUNCH. IN GAME 2, BLAZE PITCHER ADAM MUND (5IP, 2K, 3BB, 1H) THREW 5 INNINGS OF SHUT OUT BALL. HOWEVER, THE BATS CONTINUED TO BE QUIET AND THE BLAZE FELL 4 - 1 AS THE MUSTANGS SCORED 4 RUNS IN THE 6TH INNING. CLICK ON TRIPLE CROWN ICON TO GET TO TOURNEY WEBSITE. BLAZE BEGIN PLAY AT TRIPLE CROWN FALL NATIONALS ON FRIDAY, OCTOBER 27TH. THESE GAMES WILL BE PLAYED AT A.D. DAVIS FIELD AT THE ST. AUGUSTINE LITTLE LEAGUE COMPLEX. COACH KLEIMAN HAS THE DIRECTIONS TO THIS FIELD. 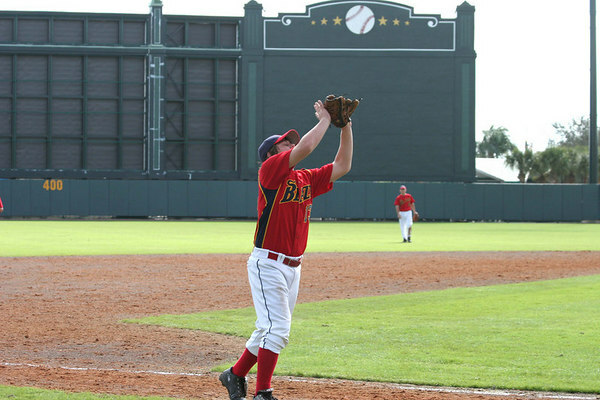 IN A GAME THAT FEATURED 30 COMBINED HITS, THE BROWARD BLAZE DEFEATED THE COOPER CITY COWBOYS, 16 - 9. EVERY BLAZE PLAYER HAD AT LEAST ONE HIT. JASON WILPON THREW 5 INNINGS (4ER, 7H, 3K) TO EARN THE WIN. HE ALSO ADDED 2 HITS. RICHARD CHERNOFF LED THE BLAZE OFFENSE WITH 3 HITS AND SCORED 3 RUNS. NICK MOORMANN ADDED 2 HITS AND 2 RBI'S. ADAM MUND (4 RBI'S) AND ADRIAN GARCIA (3 RBI'S ON 2 DOUBLES) HELPED THE CAUSE. 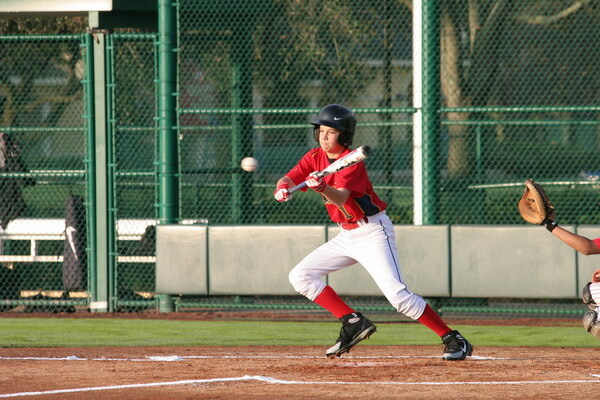 THE BLAZE SUFFERED THEIR 1ST DEFEAT IN FLORIDA PREMIER BASEBALL LEAGUE ACTION, LOSING TO THE HOMESTEAD STORM RED 8 - 2. THE BLAZE HAVE PLAYED EXCELLENT DEFENSE ALL SEASON...HOWEVER, POOR DEFENSIVE PLAY WAS THE CORNERSTONE OF THIS LOSS. ON OFFENSE, THE BLAZE SCORED 2 RUNS LATE WHEN HARRISON FRANETIC HIT A LONG TRIPLE WITH TWO RUNNERS ABOARD. THE BROWARD BLAZE DEFEATED THE MIAMI LAKES THUNDER 3-2 AT PICCOLO PARK AND THEN 5-2 AT MIAMI LAKES. THE BROWARD BLAZE DEFEATED THE DAVIE BRONCOS 7 -1 AT BAMFORD PARK. ZACH KLEIMAN (7IP, 6K, 2BB, 1ER) WENT THE DISTANCE TO EARN THE VICTORY. KLEIMAN WAS SHARP ALL NIGHT, MIXING HIS PITCHES WELL TO KEEP THE DAVIE HITTERS OFF BALANCE. THE BLAZE OFFENSE GOT ROLLING IN THE 2ND INNING WHEN THEY SCORED 3 RUNS AND NEVER LOOKED BACK. COLIN MARTINDALE LED THE WAY WITH 2 HITS, 2 RBI'S AND WAS STRONG ON DEFENSE. ADRIAN GARCIA, GEOFFREY JIMENEZ, ZACH KLEIMAN AND ADAM MUND ADDED HITS OF THEIR OWN. THE BLAZE'S STRONG DEFENSIVE PLAY CONTINUED AND WAS LED BY JASON WILPON, RICHARD CHERNOFF AND RICHARD ENGLAR. ENGLAR MADE A DIVING PLAY IN THE 1ST INNING AND THREW OUT TWO RUNNERS FROM RIGHT FIELD. BLAZE DEFEAT HAWKS BEHIND 3 HITTER. NICK MOORMANN, MAKING HIS FIRST START FOR THE BLAZE, HELD THE WESTON HAWKS TO 3 HITS SECURING A 16-0 VICTORY. MOORMANN (OR, 3H, 2K, 2BB) WENT 5 INNINGS IN WHICH HE DID NOT ALLOW A HAWKS PLAYER PAST 2ND BASE. ALL AROUND, THE BLAZE DEFENSE WAS ONCE AGAIN SOLID. RICHARD CHERNOFF TOOK A THROW OUT OF THE DIRT TO END THE GAME. RICHARD ENGLAR SHOWED A GREAT DEAL OF HUSTLE GETTING TO AN OVERTHROW OF 1ST BASE TO KEEP A RUNNER FROM ADVANCING. SKYLAR FOX AND COLIN MARTINDALE COMBINED ON A NIFTY 5TH INNING DOUBLE PLAY. MATT WAGENER AND ADRIAN GARCIA DID A FINE JOB BEHIND THE PLATE. AS EXPECTED, THE TOP OF THE ORDER CONTINUED TO GENERATE SCORING OPPORTUNITIES AS THE FIRST THREE HITTERS REACHED BASE IN 9 OF 12 AT BATS. GEOFFREY JIMENEZ LED THE WAY AS HE HAD ANOTHER SOLID NIGHT AT THE PLATE AS HE REACHED BASE 4 TIMES (2 HITS, 2 WALKS, 2 STOLEN BASES) AND SCORED TWICE. DESPITE ONLY HAVING 1 HIT, HARRY FRANETIC SCORED 4 TIMES. BLAZE PITCHER ZACH KLEIMAN (6IP, 2H, 7K, 2R) WAS IN COMMAND ALL NIGHT LONG AS THE BLAZE DEFEATED THE COOPER CITY COWBOYS 10-2 IN THE FPBL OPENER. IN ADDITION TO HIS FINE PITCHING PERFORMANCE, KLEIMAN ADDED 3 HITS, 2 RBI'S AND SCORED 2 RUNS. THE BLAZE DEFENSE WAS SOLID AND INCLUDED SOME FINE PLAY FROM RICH ENGLAR AND MATT WAGENER (BEHIND THE PLATE). THE GAME ENDED WHEN WAGENER THREW OUT A WOULD BE BASE STEALER AT 3RD BASE. SKYLAR FOX HAD A LONG TRIPLE ALONG WITH 4 RBI'S. ADRIAN GARCIA ADDED TWO LONG DOUBLES. ADAM MUND AND MATT WAGENER ALSO ADDED HITS FOR THE BLAZE. BLAZE TO PLAY IN FLANAGAN FALCONS ELITE BASH. THE BROWARD BLAZE WILL BE PLAYING IN THE FLANAGAN FALCONS ELITE BASH WHICH WILL BE HELD NOVEMBER 28TH THROUGH DECEMBER 3RD. GAMES WILL BE PLAYED AT FLANAGAN HIGH SCHOOL AND FLAMINGO PARK. CLICK ON THE HIGHLIGHTED HEADLINE ABOVE TO BE CONNECTED TO THE TOURNAMENT WEBSITE. NEXT UP FOR THE BLAZE .......NEW YEARS TOURNAMENT AT DISNEY! WHAT BETTER WAY TO RING IN THE NEW YEAR THEN TO SPEND IT AT DISNEY. THE BLAZE ARE FORTUNATE TO HAVE BEEN CHOSEN TO PLAY IN THE DISNEY NEW YEARS CLASSIC TOURNAMENT THAT IS HELD AT THE WIDE WORLD OF SPORTS COMPLEX DECEMBER 28TH THROUGH JANUARY 1ST. THIS TOURNAMENT FEATURES TEAMS FROM AROUND THE UNITED STATES AND CANADA. STRONG PLAY EARNS BLAZE A BIRTH AT THE TRIPLE CROWN ST. AUGUSTINE NATIONALS IN OCTOBER. 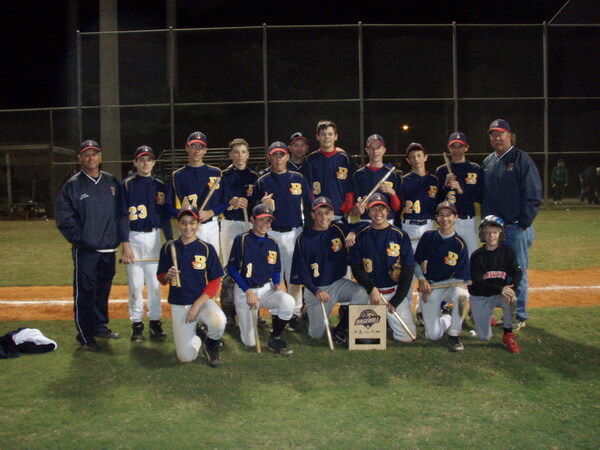 WITH VICTORIES OVER THE DAVIE BRONCOS (15-3) AND THE PASADENA PANTHERS (3-2) AND THE SUBSEQUENT RAIN-OUT OF THE ELIMINATION ROUND GAMES, THE BLAZE EARNED A TIE FOR 3RD IN THE TRIPLE CROWN PLANTATION TOURNAMENT AND A SUBSEQUENT BIRTH IN THE TRIPLE CROWN ST. AUGUSTINE NATIONALS WHICH WILL BE HELD AT THE END OF OCTOBER. THE BLAZE HAD A SEASON HIGH 15 RUNS AND 13 HITS IN A GAME SHORTENED BY THE 10 RUN RULE. ADAM MUND (3IP, 5H, 3R) EARNED THE VICTORY. RICH ENGLAR (1IP, 1K, 0R) PITCHED A SOLID INNING IN RELIEF TO PRESERVE THE WIN. WHILE THE BLAZE DEFENSE IN THIS GAME WAS STELLAR THE OFFENSE STRUCK EARLY AND OFTEN. THE OFFENSE WAS LED BY HARRY FRANETIC, WHO HAD 3 HITS ALONG WITH 4 RBI'S. JUSTIN BAILEY, ADAM MUND, COLIN MARTINDALE AND RICHARD CHERNOFF EACH ADDED 2 HITS. JASON WILPON AND ZACH KLEIMAN EACH HAD A HIT AND KLEIMAN ADDED A STOLEN BASE AND 3 RBI'S. GEOFFREY JIMENEZ COLLECTED 3 STOLEN BASES TO GO ALONG WITH HIS 3 WALKS. THE BLAZE ENTERED THE PASADENA GAME KNOWING THAT IT NEEDED A WIN TO SECURE A BIRTH IN THE ELIMINATION ROUND. DESPITE THE LONG DAY, THE BLAZE DID NOT DISAPPOINT. ZACH KLEIMAN (6IP, 5K, 6 H, 2R) PITCHED 6 STRONG INNINGS TO EARN THE VICTORY. RICHARD CHERNOFF (1IP, 1K, 0R) FOLLOWED BY THROWING A STRONG 7TH INNING TO EARN HIS 1ST SAVE OF THE YEAR. THE GAME ENDED AS CATCHER MATT WAGENER THREW OUT A WOULD BE BASE STEALER AT 2ND BASE. THE BLAZE DEFENSE WAS LED BY THE STRONG OUTFIELD PLAY OF JUSTIN BAILEY, HARRY FRANETIC AND GEOFFREY JIMENEZ. FRANETIC AND JIMENEZ EACH ADDED 2 HITS. WAGENER, KLEIMAN, CHERNOFF, ADRIAN GARCIA AND ADAM MUND EACH ADDED A HIT OF THEIR OWN. BLAZE GAME WITH TEAM MIAMI CALLED AFTER 5 INNINGS FOR DARKNESS. ON FRIDAY NIGHT THE BLAZE PLAYED TEAM MIAMI. THIS GAME WAS CALLED FOR DARKNESS AFTER THE BLAZE BATTED IN THE 5TH INNING. AS HAS BEEN THE THEME OF THIS YOUNG SEASON, FINE PITCHING PACED THE BLAZE. JASON WILPON (3.2IP, 2K, 2H, 3R) EFFECTIVELY MIXED HIS PITCHES TO KEEP THE TEAM MIAMI PLAYERS OFF BALANCE. NICK MOORMAN (.1IP, 1R) AND HARRY FRANETIC (1IP, OR) WERE EFFECTIVE IN RELIEF. THIS GAME WAS ABOUT DEFENSE AND THE BLAZE PLAYED THE KIND OF DEFENSE THAT KEEPS A TEAM IN THE GAME NIGHT AFTER NIGHT. OFFENSIVELY, GEOFFREY JIMENEZ HAD TWO HITS AND JUSTIN BAILEY, HARRY FRANETIC AND SKYLAR FOX EACH ADDED A HIT OF THEIR OWN. HITTING PRACTICE SCHEDULED FOR WEDNESDAY AT NOVA HIGH SCHOOL BATTING CAGES! THE BLAZE WILL HOLD A HITTING PRACTICE AT THE NOVA HIGH SCHOOL BATTING CAGES AT 7PM ON WEDNESDAY, SEPTEMBER 6TH. THIS IS A RAIN OR SHINE PRACTICE AS THE CAGES ARE INSIDE. SINCE THERE IS A JV FOOTBALL GAME GOING ON AT THE SAME TIME COACH SCOTT HAS ADVISED THAT PARENTS SHOULD PARK IN THE EAST PARKING LOT SO THAT YOU ARE NOT CHARGED. PLANTATION TRIPLE CROWN TOURNAMENT SCHEDULE POSTED!!!!! THE PLANTATION TRIPLE CROWN TOURNAMENT WILL BE HELD THIS WEEKEND. THE SCHEDULE IS POSTED BOTH AT THE BOTTOM OF THE WELCOME PAGE AND IN THE SCHEDULE SECTION OF THE WEBSITE. WITH POOR WEATHER AND RAIN SCHEDULED FOR TONIGHT AND TOMORROW, TOURNAMENT DIRECTOR GASPAR PALMER HAS DECIDED TO CANCEL THE REMAINDER OF THE PRE-SEASON TOURNAMENT. FURTHER INFORMATION CONCERNING PRACTICES AND THE SCHEDULE FOR NEXT WEEKENDS TRIPLE CROWN TOURNAMENT IN PLANTATION WILL BE POSTED ON THIS SITE. DESPITE SUPERB PITCHING PERFORMANCES FROM ZACH KLEIMAN AND RICHARD CHERNOFF, THE BLAZE WERE DEFEATED BY THE LUMBERKINGS. THE BLAZE FELL BEHIND 1-0 IN THE FIRST INNING, BUT STRONG DEFENSE AND GREAT PITCHING FROM ZACH KLEIMAN (6IP, 4H, 4K, 0ER) KEPT THE BLAZE IN THE GAME AGAINST A VERY GOOD HITTING TEAM. THE BLAZE HAD A CHANCE TO TIE THE GAME WHEN HARRISON FRANETIC HIT A LONG DRIVE OFF OF THE TOP OF THE OUTFIELD FENCE WHICH SCORED COLIN MARTINDALE. THE BALL DELECTED BACK INTO THE FIELD OF PLAY AND FRANETIC SETTLED FOR A DOUBLE. UNFORTUNATELY, FRANETIC WAS STRANDED AT SECOND AS THE GAME ENDED. RICHARD CHERNOFF, PITCHED WELL IN RELIEF (1IP, 2H, 1K, 1ER) IN HIS BLAZE DEBUT. IN ADDITION TO FRANETIC, ADAM MUND (2 HITS), ADRIAN GARCIA (2B) AND CHERNOFF PROVIDED THE BALANCE OF THE OFFENSE FOR THE BLAZE. RAIN, RAIN STAY AWAY.....LET THE BLAZE PLAY ON SUNDAY!!!!!! WITH A LITTLE LUCK, THE BLAZE WILL PLAY AT 10AM ON SUNDAY MORNING AT PINES OPTIMIST FIELD 1....PLEASE BE AT THE FIELD BY 9AM AND BRING BOTH THE RED AND BLUE SHIRTS. TOURNAMENT HAS BEEN REDUCED TO ONE POOL GAME AND THEN A SINGLE ELIMINATION TOURNAMENT. DESPITE OUR DESIRE TO HIT THE FIELD, THE RAIN IS HOLDING US UP....CURRENTLY, GAMES ARE DELAYED BY ABOUT 2 HOURS AT PINES OPTIMIST FIELD 5...PUTTING ANY CHANCE THAT WE WOULD PLAY TOMIGHT IN SERIOUS JEOPARDY! HOPEFULLY, THE MESSAGES THAT WE HAVE BEEN SENDING TO ALL PLAYERS AND PARENTS IS HELPING YOU STAY ABREAST TO WHATS GOING ON....MORE TO FOLLOW AS SOON AS WE RECEIVE IT! DUE TO THE RAIN OUT LAST NIGHT, THE TOURNAMENT DIRECTOR HAS MADE SOME SCHEDULING CHANGES FOR TODAY. THE BLAZE'S FIRST GAME WILL BE AT 4PM AT PINES OPTIMIST FIELD 5. THE BLAZE WILL BE PLAYING THE LUMBER KINGS. PLAYERS SHOULD ARRIVE NO LATER THEN 3PM. IMMEDIATELY FOLLOWING THAT GAME, THE BLAZE WILL BE PLAYING THE WESTON HAWKS. PLEASE ENSURE THAT ALL PLAYERS HAVE BOTH THEIR BLUE AND RED SHIRTS. THE WEATHER FORECAST IS NOT GOOD! SHOULD THERE BE ADDITIONAL CHANGES, WE WILL SEND OUT AN ADDITIONAL MESSAGECAST! LETS PLAY BALL - FPBL PRE-SEASON TOURNAMENT SCHEDULE HAS BEEN RELEASED! THE BLAZE ARE GOING DEEP! 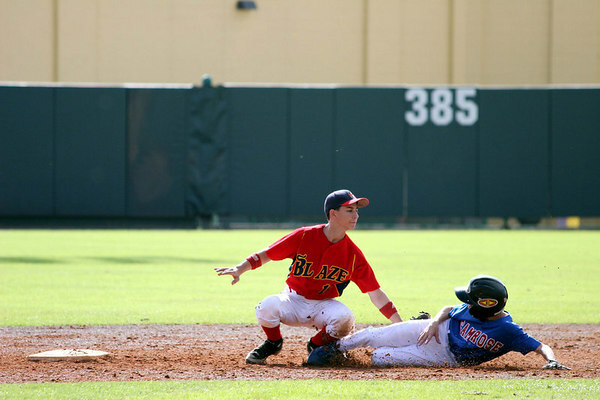 THE BLAZE OPEN THEIR FALL CAMPAIGN AS THEY PLAY IN THE FLORIDA PREMIER BASEBALL LEAGUE PRE-SEASON TOURNAMENT. THE BLAZE PLAYS THE WEST PINES COBRAS ON FRIDAY, SEPTEMBER 1ST AT 6PM AT PEMBROKE SHORES FIELD 8. ON SATURDAY, SEPTEMBER 2ND, THE BLAZE TAKE THE FIELD AGAINST THE DAVIE BRONCOS AT PINES OPTIMIST FIELD 5. GAME TIME IS SET FOR 2PM. SINGLE ELIMINATION GAMES BEGIN AT 6PM ON SATURDAY. ALL PLAYERS SHOULD BE AT THE FIELD 1 HOUR PRIOR TO GAME TIME. WITH THAT BEING SAID, THE SCHEDULE OF THE TOURNAMENT IS STILL SUBJECT TO CHANGE OR CANCELLATION BASED ON TROPICAL STORM ERNESTO. PLEASE MONITOR THIS SITE AND YOUR EMAIL FOR FURTHER UPDATES. YOU CAN ALSO SEE THE ENTIRE TOURNAMENT SCHEDULE BY VISITING: www.eteamz.com/fpbl. SCHEDULES FOR FPBL PRE-SEASON TOURNAMENT TO BE POSTED ON TUESDAY, AUGUST 29TH. 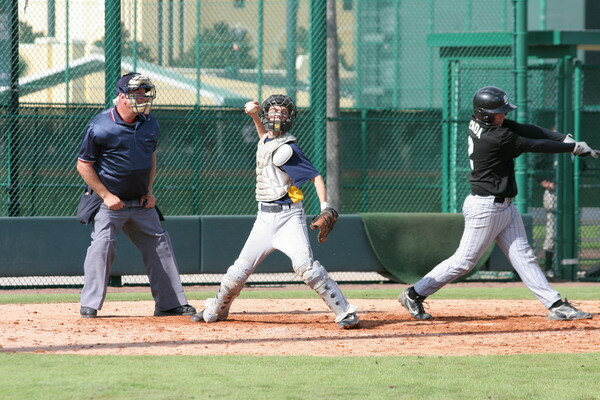 THE SCHEDULES FOR THE FLORIDA PREMIER BASEBALL LEAGUES PRE-SEASON TOURNAMENT ARE EXPECTED TO BE POSTED ON THEIR SITE ON TUESDAY, AUGUST 29TH. ONCE POSTED, WE WILL ENSURE THAT THE SCHEDULE MAKES IT OVER TO OUR SITE. YOU WILL NOTICE UPCOMING GAMES AT THE BOTTOM OF THE WELCOME PAGE AND BY CLICKING ON "SCHEDULES" TO THE LEFT. OBVIOUSLY, WITH TROPICAL STORM ERNESTO, ANY SCHEDULING COMPLETED TOMORROW WILL BE TENTATIVE BASED ON THE TENACITY OF THIS STORM.....STAYED TUNED TO THE WEBSITE FOR UPDATED INFORMATION AS WE RECEIVE IT! 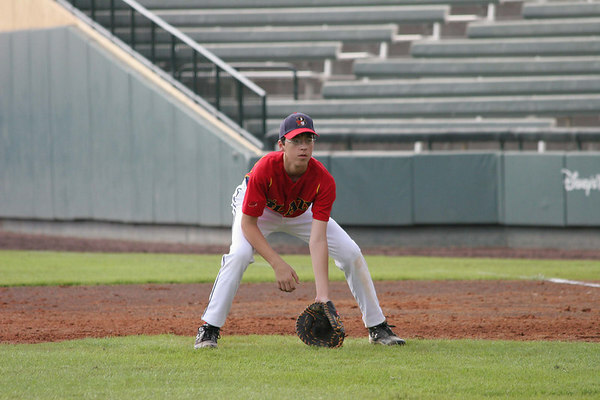 BLAZE BEGIN FALL CAMPAIGN WITH PARTICPATION IN FPBL PRE-SEASON TOURNAMENT. WITH TRYOUTS AND SUMMER PRACTICES WELL UNDER WAY, THE 14 AND UNDER BLAZE TEAM LOOKS TOWARD THE FALL FOR BOTH LEAGUE AND TOURNAMENT PLAY. AS IT DID LAST YEAR, THE BLAZE WILL PARTICIPATE IN THE FLORIDA PREMIER LEAGUE PRE-SEASON TOURNAMENT. THIS TOURNAMENT WILL TAKE PLACE OVER LABOR DAY WEEKEND. TRYOUTS FOR THE BLAZE CONTINUE OVER THE NEXT 2 WEEKS. IF YOU ARE INTERESTED IN BECOMING A PART OF A QUALITY PROGRAM THAT HAS A SUPER REPUTATION IN SOUTH FLORIDA AND BEYOND, PLEASE SEE THE TEAM CONTACT INFORMATION BELOW! BREAKING NEWS: PRACTICE CANCELLED FOR SUNDAY, AUGUST 27TH. DUE TO STANDING WATER ON THE FIELDS, BLAZE PRACTICE FOR SUNDAY, AUGUST 27TH IS CANCELLED. AS OF THIS TIME, PRACTICE FOR TOMOMORROW NIGHT IS STILL ON. CONTINUE TO CHECK YOUR EMAIL AND THIS SITE FOR FURTHER WEATHER AND FIELD UPDATES! 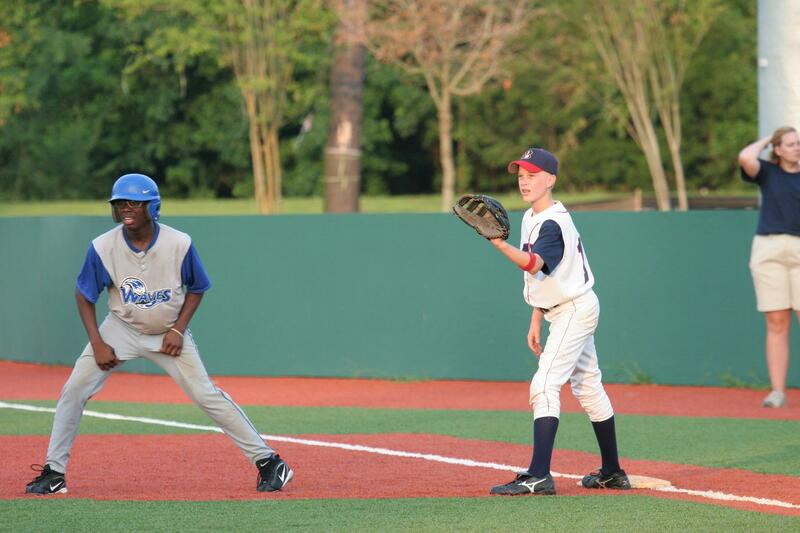 BLAZE EXCEL IN SKILLS COMPETITION AT RIPKEN EXPERIENCE. 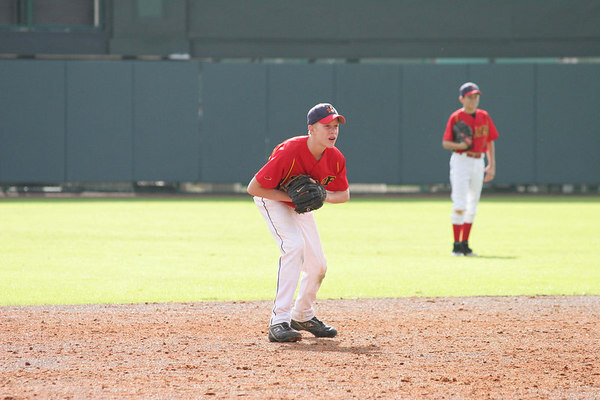 THE BLAZE DISPLAYED THEIR ABILITIES DURING THE PRE-TOURNAMENT SKILLS COMPETITION HELD AT THE RIPKEN EXPERIENCE IN MYRTLE BEACH, SOUTH CAROLINA. IN THE END, THE BLAZE SQUAD DEFEATED 14 OTHER 13 YEAR OLD TEAMS TO WIN THE "DOUBLE PLAY" COMPETITION. HARRY, WHO IS BETTER KNOWN AS "THE HAMMER", TOOK 2ND PLACE IN THE HOME RUN COMPETITION. "THE HAMMER" DISPLAYS THE WINNING SWING.